A new year is upon us and we’ve been hunting down the ultimate wise-buys of 2017 – the classics you need to snap up right now. 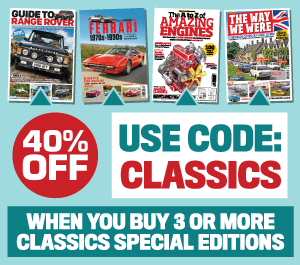 You’ll find hundreds of them in our comprehensive price guide and in addition, the Practical Classics team have chosen their own ‘classics to buy now’. There’s a VW icon, a 70s drop-top, a classic British GT and a couple of modern classics that will prove to be very wise investments. Have a read and let us know which cars YOU think are worth buying in 2017! Also: Superb Gilbern restoration, loads of tech advice and tips and we find out if our intrepid adventurers manage to make it to the Alps and back in their £750 classics. The boys have fixed up their £750 classics and have set course for Switzerland. Will they make it there and back? Danny’s Rover P4 is running at last – but there’s a nasty surprise around the corner for him. James has his Austin Ambassador wafting along comfortably and is trailed by Sam Glover’s Bulgarian Maestro and Tomkins and George in their Hyacinth Bucket Rover. As they arrive at the spectacular annual Swiss British Classic Car Meet on the shores of Lake Geneva, they find it full of high-end British classics from Aston Martin to Bentley. How will their bread-and-butter classics go down with the Swiss? You’ll be surprised at the answer....! There are a number of reasons while we get involved in classics. Some are deeply personal, some recreational, some circumstantial and some even involve a few too many drinks and eBay. In the case of David Nicholson of Whittlesey, it was all of the above. David had recently retired from a career building rally cars as chief mechanic for Vauxhall. David needed a second car, and also a hobby to fill the time he now had on his hands. 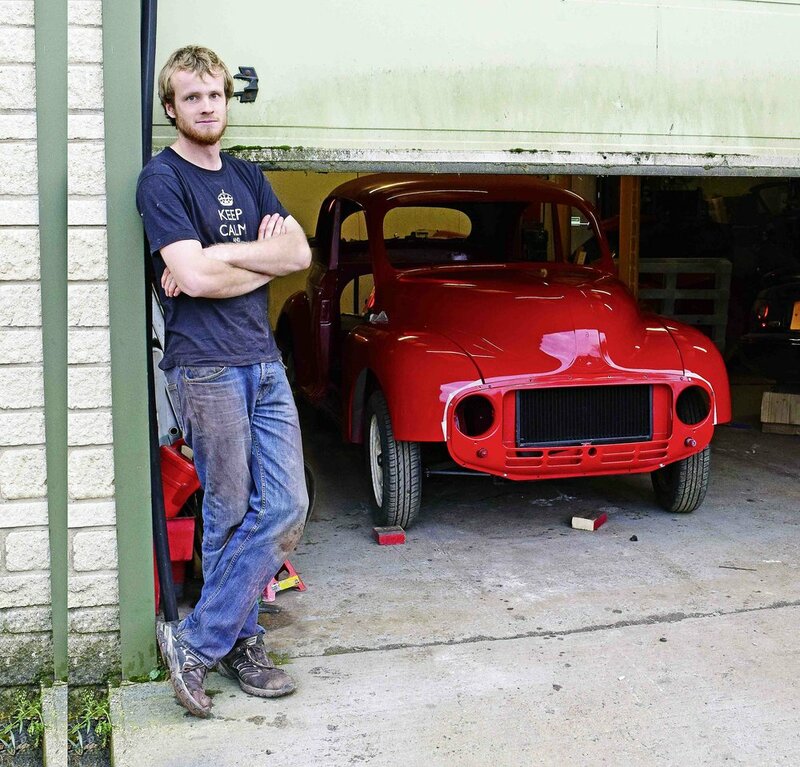 His love of Welsh car maker Gilbern and their beautiful Invader led him to go all-out to restore – from scratch – not just one, but two of these rare beasts. MGC and Ford mechanicals wrapped in fibreglass. What could possibly go wrong? One of the most advanced and complex cars the world has ever seen is discovered – after 35 years of it sitting slumped in a garage in rural Northamptonshire. It hasn’t turned a wheel or pumped up one of its own suspension spheres in all that time and – since it’s a classic Citroen – it will no doubt be as rusty as is humanly imaginable. Yet... digging deeper... this 1971 model turns out to be a one owner car. The man who owns it began to restore his beloved DS in 1983 but life got in the way and he abandoned the project – but not after shotblasting and lavishing it with layers of Hammerite. Yep... there’s zero corrosion. And, most surprisingly, despite three decades of abandonment, the car seems to want to start... Will it? Read Practical Classics this month to find out! Loads of tech pages this month with all sorts of advice and handy tips. Faulty instruments are a serious nuisance, for instance. Warning lights that don't warn; fuel gauges that cry wolf or over-read when the tank's almost empty; clocks that stop; needles that wave around at random. Dodgy instruments are in your field of vision at all times, so they’re impossible to ignore. Our Ed shows you how to fix them! In this month’s Practical Classics, join our buying expert Russ on why now could be the time to grab a Saab 900. We also give you details on the many other classics worth considering right now - before prices rocket. Plus a guide on how to buy an MG ZR/ZS. LIVE FROM THE PRACTICAL CLASSICS WORKSHOP! There's loads of brilliant technical advice and wisdom from our team of experts in the latest issue – and lots to report from our own project cars: Including... a new Beetle purchase by our Matt George and a full report on how our Tomkins and the Morris Minor Owners Club managed to get their ‘lowlight’ to the NEC show on time. 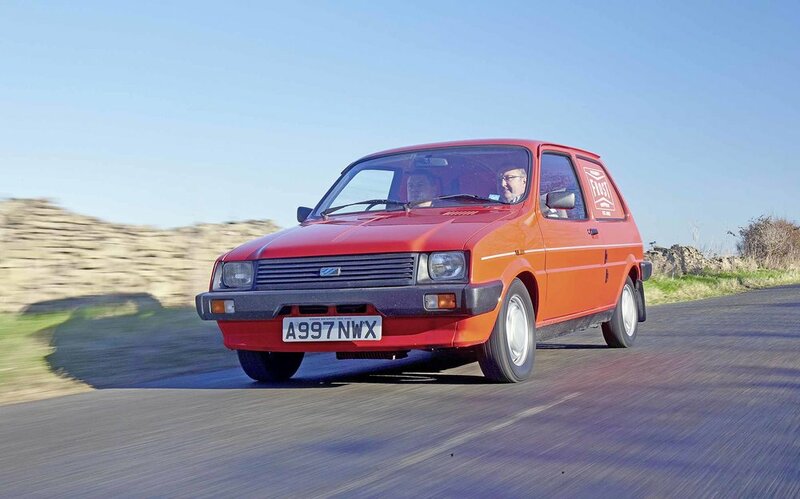 We also check out the incredible Metro Van, owned by our pals at Frost. The lucky people holding up the keys in this picture have just won a car in a ‘Spot The Ball’ competition. 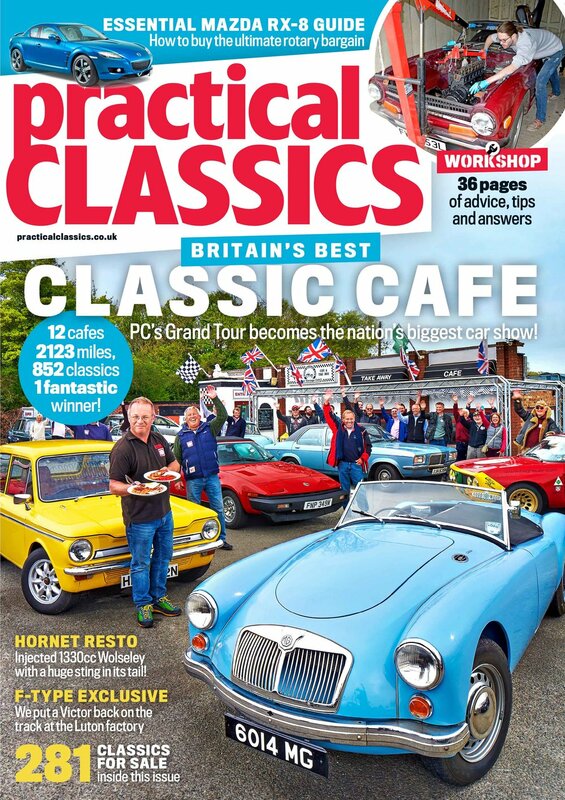 Find out how many of the cars – and owners - still exist by grabbing a copy of Practical Classics!